The purpose of all Commercial Property Condition Assessments (PCA), ASTM standard E2018 (2015 edition) due diligence reporting, is to make sure that the property and building you believe you are purchasing or leasing is the property being received physically and conditionally. You will reach that decision by doing your own homework, and from the information attained via a professional Commercial Property Condition Assessment (PCA) and Property Condition Report (PCR). That being said, it is important to understand that the PCA/PCR is not a factual or historical document, it is a combination of professional opinions and observations formulated by one or more physical due diligence expert. Hence, your due diligence can only be as good as the professionals you engage to provide it. You need to know not only the physical characteristics of the property and buildings being acquired, but the approximate condition and age and level of maintenance and history, to assess the property properly. Only then can you can adequately balance the risks and rewards being offered in conjunction with your commercial property transaction. The single most important part of the commercial property transaction process, aside from the final purchase price and profitability balance calculations, is a well-documented review of the actual physical condition of the real property. Otherwise, you could find yourself the not so proud owner of a commercial property that, doesn’t suit your needs, costs more than you can afford in upkeep, or the ultimate remorse for investors – capital expenditures are being sunk into a property on a regular basis that someone else is utilizing and making money off of, and you are not. Suddenly, that long term lease with a solid anchor doesn’t seem so attractive anymore. The Purchase or Leasing of Commercial real estate, whether it be a basic commercial net lease, a commercial triple net lease, the purchase of a church facility, a retail outlet mall acquisition, or the purchase of a million square foot state-of-the-art manufacturing facility, the prospective buyer or lessee should strive to procure an adequate level of due diligence when investigating the physical condition of the commercial property, building, and associated systems they are investing in. The basis for this investigation whether in whole or in part is ASTM standard E2018. Every real estate transaction is different and each transaction has its own unique set of considerations and conditions to validate before finalized. The utilization of professional third party experts in the physical property due diligence process where necessary is critical to the overall accuracy and cost efficiency of your property transaction. Some condition assessment professionals are quite astute when it comes to commercial property conditions and uniquely qualified for assessments and cost estimating, but not everyone can be a master of everything. Knowing where to acquire expert opinions is almost as important as being able to render them. The process of commercial property inspection and condition assessment begins before the purchase agreement for a commercial property is completed and executed, by thoroughly surveying the site and discussing the physical condition of the property with the potential property buyer and their cohorts. This process should be considered invaluable to obtaining the information that will be necessary to concrete your due diligence with a professional Commercial Property Condition Assessment (PCA). Once the commercial real estate sales contract is prepared the due diligence period begins. Assuming adequate documentation is furnished by the commercial property seller for review, adequate time should be allotted to review and verify the information provided, otherwise the bulk of the due diligence will need to be derived from the on site inspection and assessment. 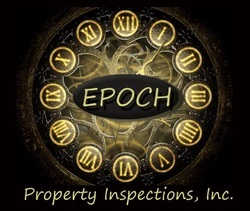 Additional effort and monies that that will need to be spent to make up a shortcoming of available documentation through extra property condition assessment and additional field inspections and/or experts should be considered essential and figured into the cost of the property transaction if limited documentation is available. Accessibility surveys, Architectural Building plans, Certificates of Occupancy, Citations from Authorities Having Jurisdiction, Emergency evacuation plans, Environmental studies, Electrical System Construction plans, Fire-detection test and maintenance records, Fire-door inspection reports, Fire-Protection System Construction plans, Fire and Restoration records, Maintenance records, Mechanical System, Construction plans, Violation Notices from Authorities Having Jurisdiction, Construction Permits, Plumbing System Construction plans, Previous inspection reports, Roofing System Construction plans and Warranties. Safety inspection records, Seller condition disclosures, Sprinkler System Test Records, Systems and Material Warranties, Current tenant information, Current policy of title insurance, Notices of any environmental conditions, Notices of any new or special assessments or taxes, Copies of all current bills for the property, Service contracts, Evidence of current zoning, As-built plans and specifications, All construction related documents including warranties, All past and present uses of the property, Third party reports or inspections, Any surveys of the land and improvements in seller’s possession. Property Inspection, Real Estate Inspection, Building Inspection, Due Diligence Survey, as they may be labeled in the due diligence report is essential to ensure sufficiency of construction condition considering the intended use of the occupants and the surrounding geography and climate. The furnishing of any available plans and specifications should be helpful here, but will not end the investigation as plans never match what has actually occurred on site. A current commercial property condition assessment should be done by a qualified third party inspection company experienced in the type of commercial property to be inspected. Industrial property condition assessment is much different than multi-residential property condition assessment, for example, and the reviewer and report writer should be familiar and experienced with the nuances of each type of facility. A previously performed property condition assessment or inspection is always furnished for the use of a single party in a single transaction for a single due diligence period and is protected under law and not reusable nor transferable to any other party. While previous assessment reports can be valuable in the current assessment process, tey should not be relied upon too heavily as time never stops marching and condition changes continuously. The focus of the inspection should be primarily on site condition and building components such as the site drainage, parking, building structure, mechanical and electrical systems and general accessibility and usability of the property. Various climates and geographical regions will require more specific inspection knowledge, thus hiring a local inspector is always a good idea if possible, in lieu of hiring a company out of the upper midwest to perform due diligence on a California high-rise building residing upon a fault line. Environmental Due Diligence known as Environmental Site Assessment (ESA) is the most utilized Environmental Inspection Report. The typical level of report preferred by lenders to demonstrate adequate due diligence is called a Limited Phase I Environmental Transaction Screening ASTM standard E1528. This explores the past use of the property and the surrounding properties to identify any potential onsite or adjacent environmental problems or future liabilities. These reports normally require a significant monetary investment and take a number of weeks to complete so they should be done as soon as you have determined you will be moving forward with your due diligence. ​The purpose of this inspection is to determine if the property contains any hazardous materials or poses a threat in any way to its surroundings. This could be caused by underground storage tanks located on the property or runoff from the property into the water table or any other number of hazards listed by the Environmental Protection Agency. While the report is expensive, the cost of cleaning up an environmental hazard can be astronomical. While not every deal will require you to obtain a Phase I Environment Site Assessment, many lenders will require it as part of their loan guidelines. In case of a fairly new development with a clean environmental record and no neighbors of an industrial nature, a simpler less expensive and much quicker Environmental Transaction Screening ASTM standard E1528 may satisfy lender and legal requirements. The information contained herein is purely professional opinion and provided for general real estate inspection reference only and is not intended in any way to be a definitive guide, nor a guarantee of past, present, or future legal or state or federal requirements, nor a measure of performance of any professional services company. Best of luck to you in all of your future property, real estate, and building management dealings! ​​Avoid paying more than fair value for a property - Condition, Condition, Condition!